The AquaStarz season ends with our annual show. This major event offers our swimmers an opportunity to show their friends, family and community what they have worked so hard to achieve. The swimmers showcase the routines they've worked on all summer. All team and juniors swimmers participate in the show, regardless if they are in a competitive routine for Champs. The Annual Show is for everyone and is the team's biggest fundraiser. 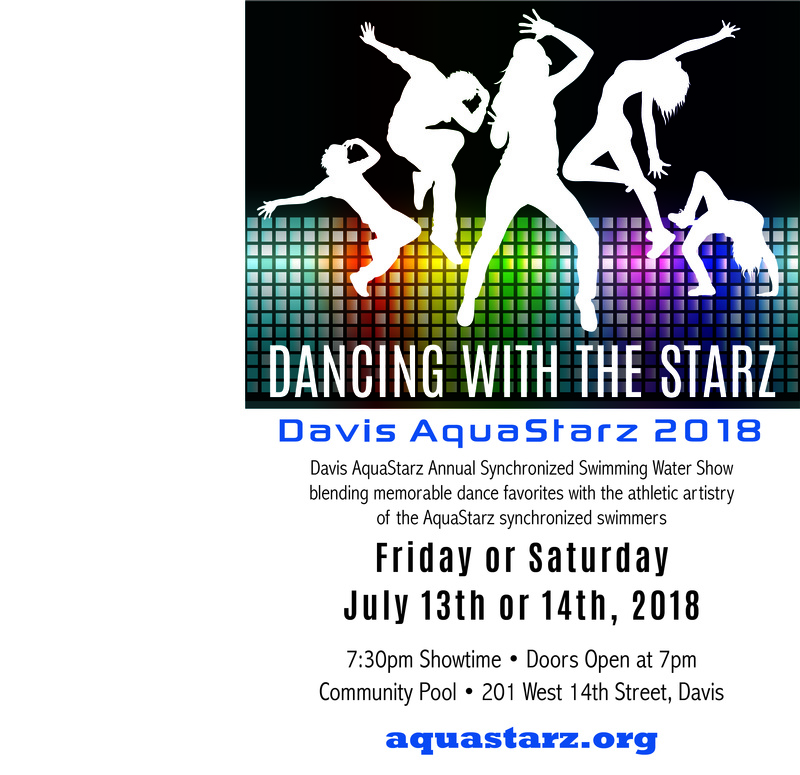 The 2018 Annual Show - Dancing with the Starz - will run on Friday, July 13 and Saturday, July 14 at Community Pool. Blending memorable dance favorites with the athletic artistry of the AquaStarz synchronized swimmers. Presale tickets can be purchased from a team member for $8 each, or at the door on July 13 or 14 for $10 each. Download the show flyer now or contact info@aquastarz.org with questions. Interested in join the AquaStarz? Join our email list to get updates on future AquaStarz programs.